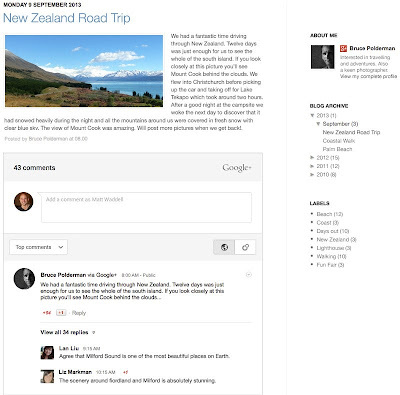 Google introduces new feature for Blogger.com users that allows you to share your blog posts automatically to Google+. If you have enabled this feature, when you publish the new post on your blog as soon as it will be shared automatically on your Google+ account without requiring any additional clicks. 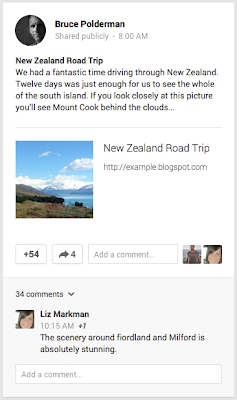 And also if you've enabled Google+ Comments, any replies on Google+ will also appear on your blog. 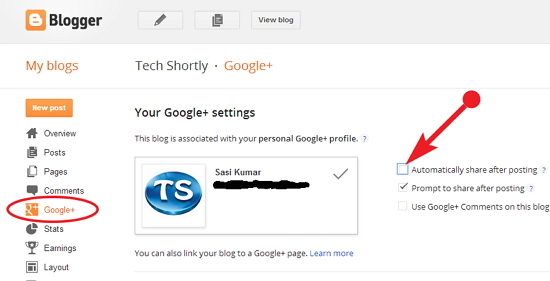 This new feature available for all those who connected a Google+ page or profile to their blog. This feature will be enabled by default, this new feature will start working the next time you publish a post. In case if you want to avoid this feature, you can disable at anytime by doing following steps. That's all automatic feature will be disabled to your account.